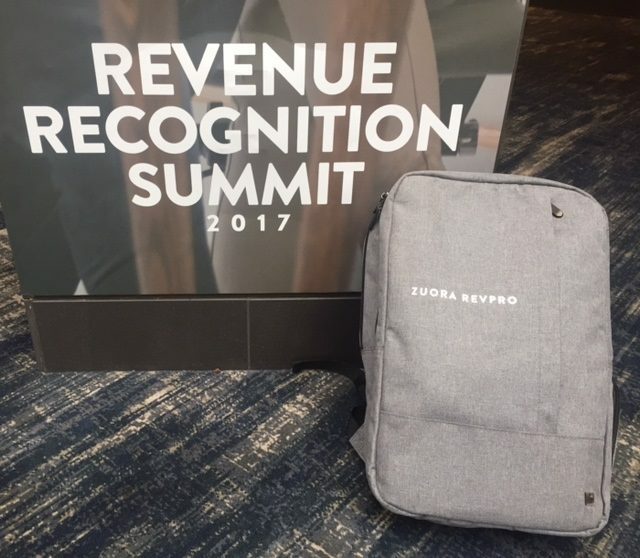 Jagan Reddy, SVP RevPro at Zuora, welcomed us back for Day 2 of Revenue Recognition Summit 2017 with a brief discussion of the differences between ASC 605 and 606 and a reminder that Finance are our heroes, the guardians of the business. He also laid out the product roadmap for RevPro, taking a look into the future when revenue metrics move to the front office. Monika Saha, Zuora, VP Product RevPro, and Sai Prasad Marri, Product Management Lead for RevPro, then took the stage to discuss the next wave of product innovation in revenue management. They shared what the RevPro team has been up to over the last 12 months (spoiler alert: they’ve been very busy, with 65,000 hours invested in product development resulting in 9 product releases!) and detailed some new features. Partners including PwC, KPMG, and Connor Group kept up the energy on the main stage with discussions around the last mile of ASC 606 adoption, the revenue automation journey, and how and where business and technology converge to address the rev rec challenge. After a delicious lunch (with macaroons for dessert! ), breakout sessions got into the nitty gritty of data for ASC 606 adoption, implementing commissions accounting requirements under ASC 606, and a RevPro implementation deep dive. If we had to summarize the main themes and topics covered during this year’s conference, it would be timelines, data, documentation and the importance of just digging in and getting started with the implementation process! Thanks to all who joined us at Revenue Recognition Summit 2017. And we hope to see you at a future event. Request your own live demo of RevPro to see how, with RevPro, you’ve got ASC 606 in the bag. Yup, we’ve got your back!